Parking.com has convenient parking for Royal George Theatre. Refer to the map for more information on nearby parking. The Royal George Theatre Complex features four theatre spaces, two floors of office space, and a popular eatery, Balena Restaurant. 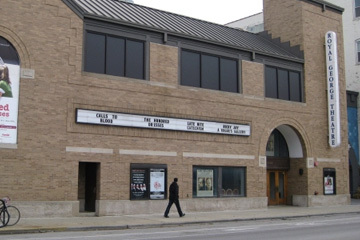 The center has hosted many acclaimed productions including "Forbidden Broadway," "Don't Dress for Dinner," "Love Letters," "Burn This," and "Little Shop of Horrors."